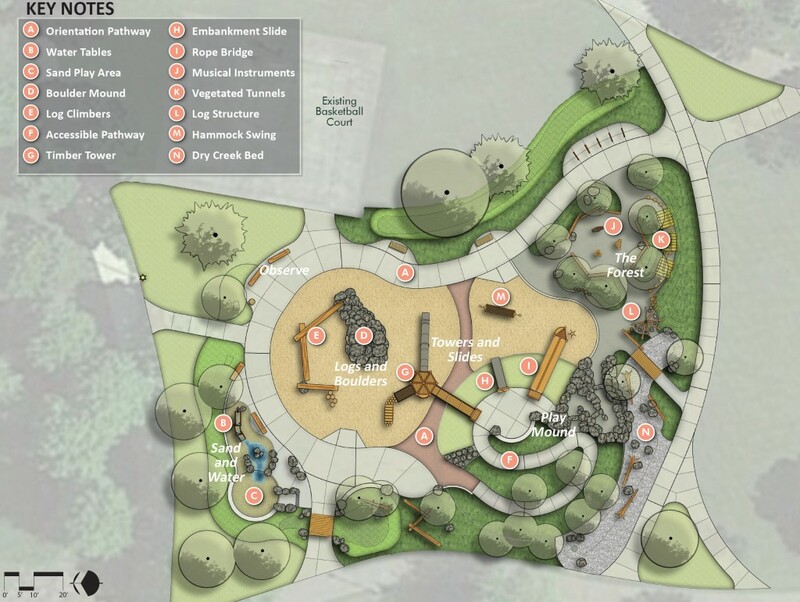 Perhaps you’ve walked along the boardwalk, shot hoops on the basketball court, or enjoyed a summer movie in the outdoor amphitheater, but if you haven’t been to the park in the heart of Columbia Tech Center (CTC) lately, there are new outdoor amenities to discover! 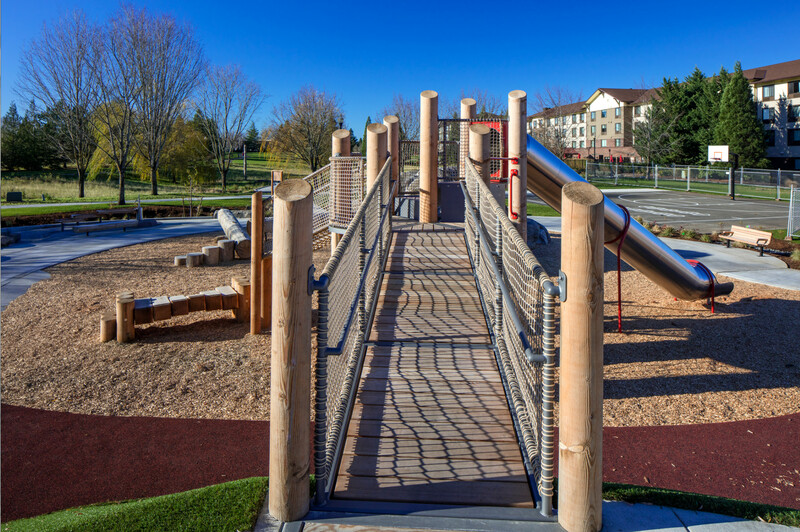 The new 25,000 square foot natural playground at CTC offers an inviting and exciting play area for the young and young-at-heart. 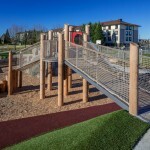 Designed by GreenWorks, the park provides experiences that mimic play in nature and responds to the basic need of children to connect to their natural surroundings. 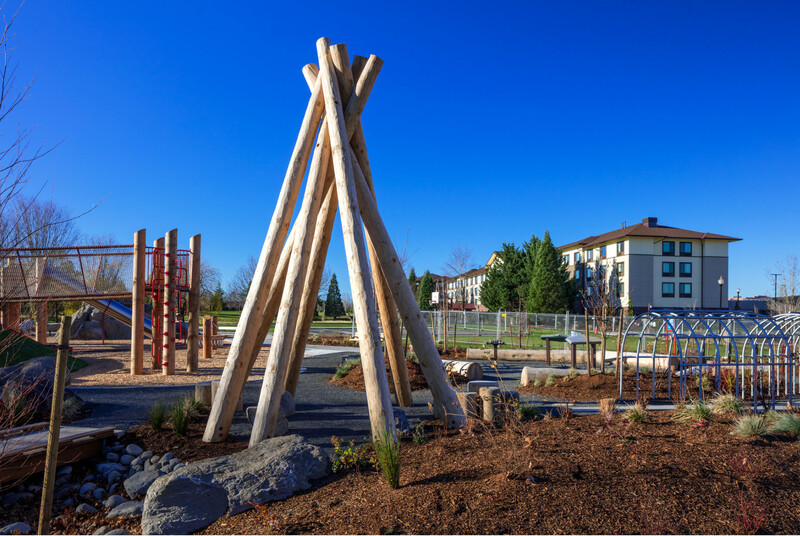 Nature play areas provide a place where children can learn about, appreciate, and become lifelong stewards of the environment. They also stimulate a child’s imagination and creativity which helps them develop beneficial social and problem solving skills. 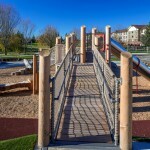 The Play Mound, which has multiple access points for kids of all physical abilities, is the launching point to access a play tower, a rope bridge, and an embankment slide. A seating area on the Play Mound’s summit encourages chaperones to socialize and engage in the play space, too. 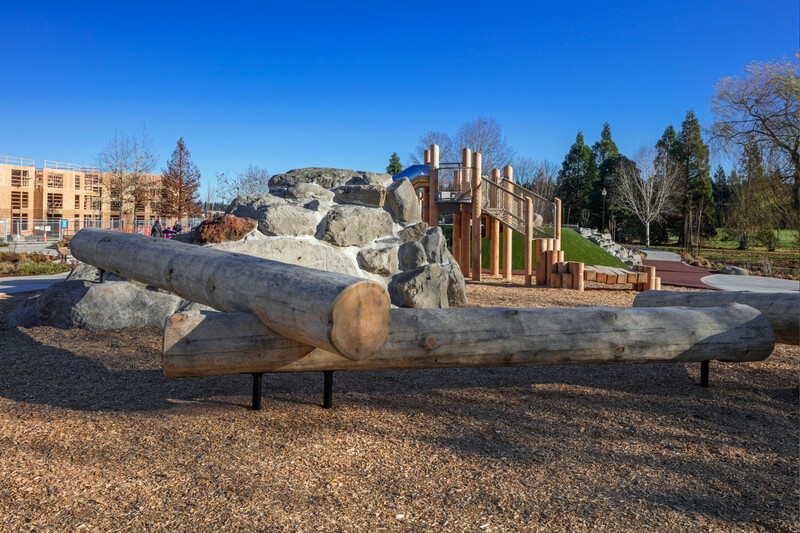 Natural boulders and logs have been creatively secured into an eight-foot tall Climbing Mound allowing kids to learn to identify, evaluate and negotiate risk which helps build competence and confidence. 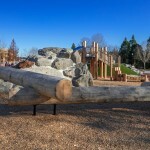 The Forest, a large discovery area that includes a log fort, densely-planted and fast-growing trees and musical instruments provides a sensory-filled space for social and imaginative play. Watch as children explore, challenge themselves, and make friends. Opening in mid-March as an extension of CTC’s extensive walking paths, a new soft surface trail will provide a pedestrian option away from busier streets for runners, walkers and nature lovers. 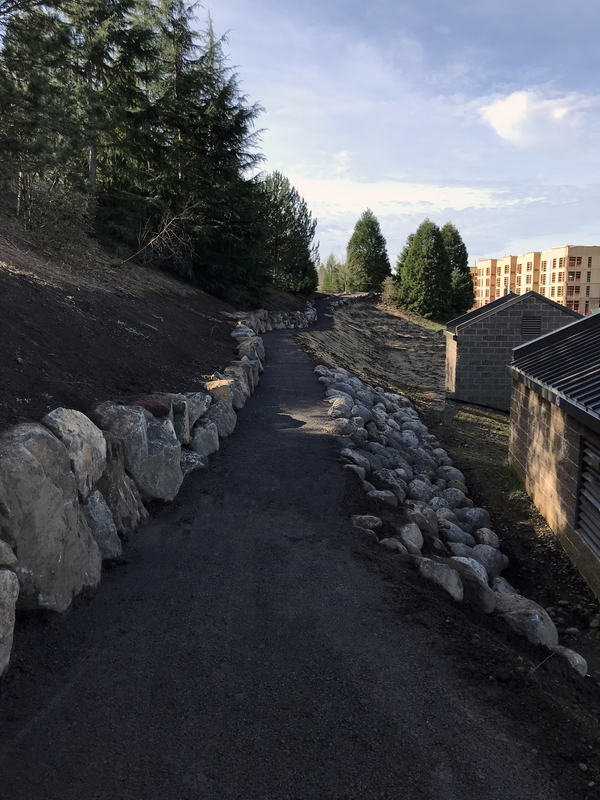 Leading east out of the nature playground and running parallel to Mill Plain Boulevard, the 1,500 foot trail is located on the planted hillside adjacent to future development sites and winds along the back of the Northfield neighborhood. Natural surface trails offer a chance to get off a paved surface and feel the earth beneath your feet and they make our community more livable by providing opportunities for physical activity, which improves fitness and mental health. 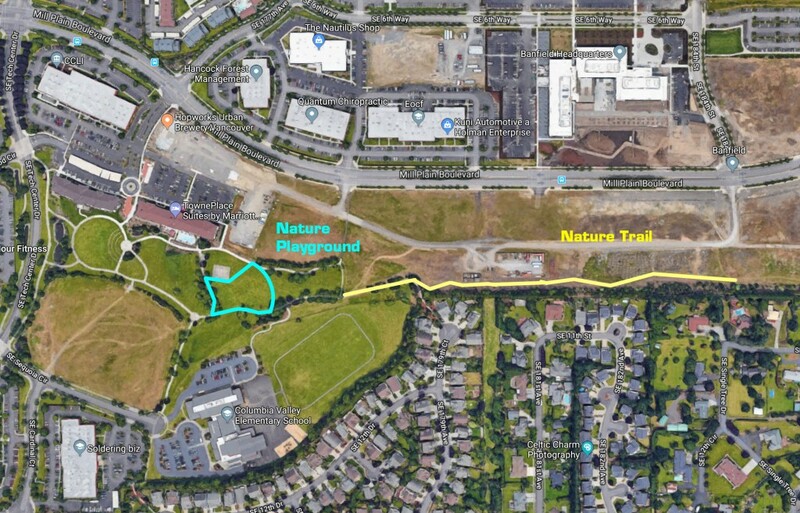 North-south pedestrian connections will tie into the existing pedestrian path north of Mill Plain along 180th Avenue, as will a north-south connection to the sidewalks along 184th Avenue, once future development sites are completed. 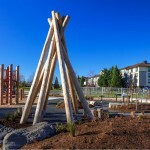 A connection from CTC’s Nature Playground to Vancouver’s Fisher Basin Park is also part of the long-term plan. Both trails and parks provide what many Americans seek: close-to-home recreational areas, educational experiences, natural landscapes and beautiful communities. 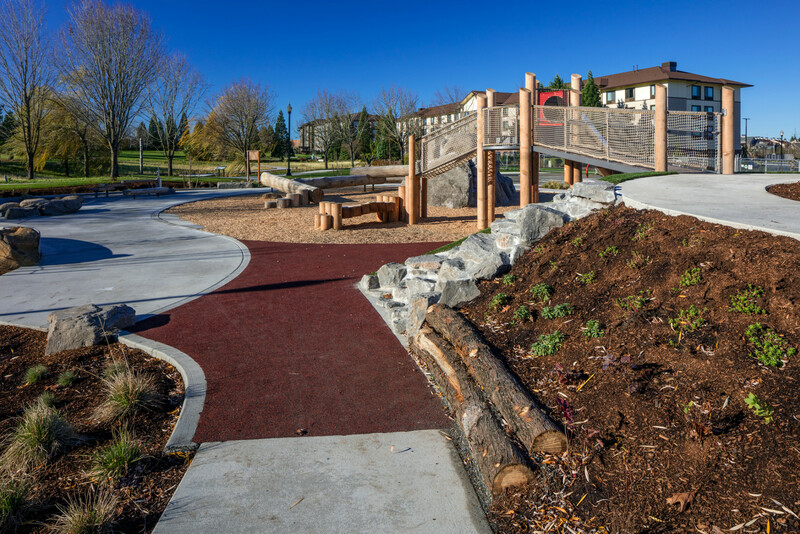 So take a break from the concrete to play with us at the new natural playground and then extend your nature-in-the-neighborhood experience as you stroll along the new nature trail. 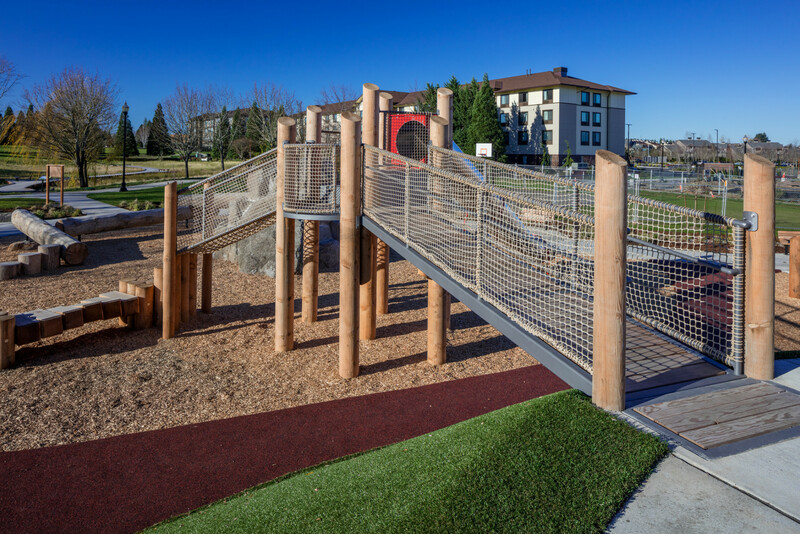 This entry was posted in Events, Featured Tenant, News, On Home Page, Tenant Amenities and tagged GreenWorks, Nature Play, Nature playground, Nature Trail. Bookmark the permalink.